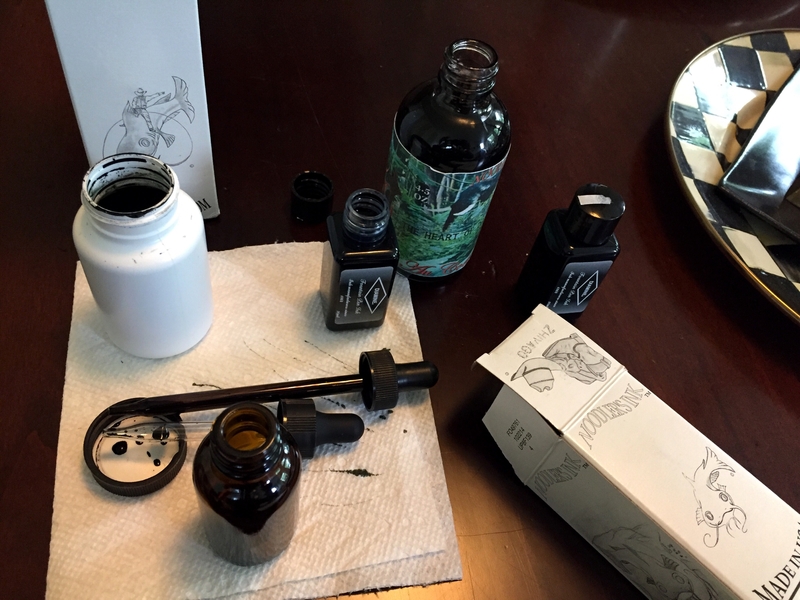 My uncle has an amazing fountain pen collection. He has gifted me a few, but I don’t use them for fear of losing them. 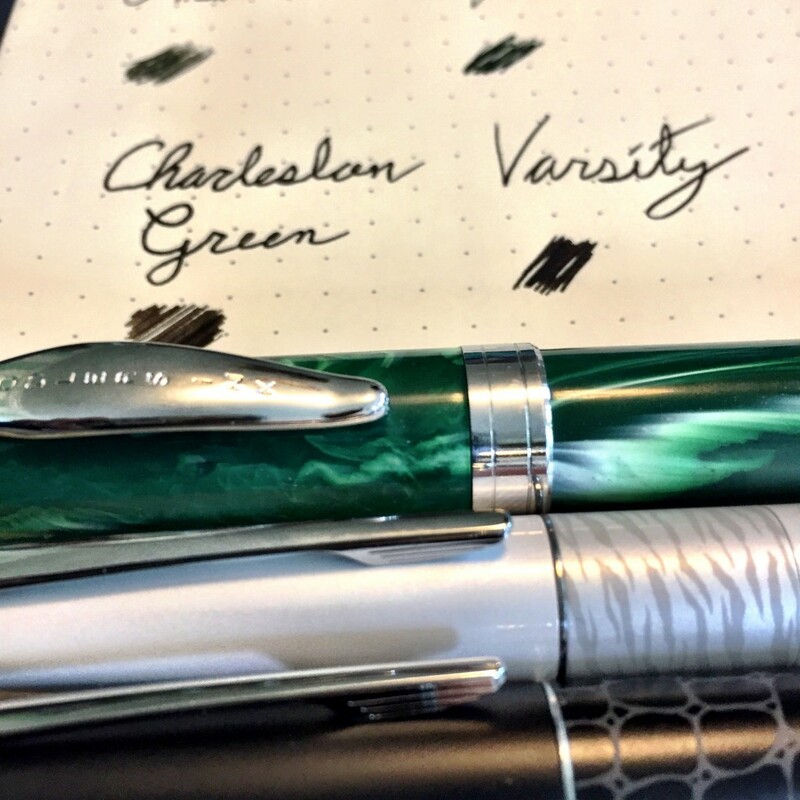 I do occasionally carry disposable fountain pens since losing them is no big deal. 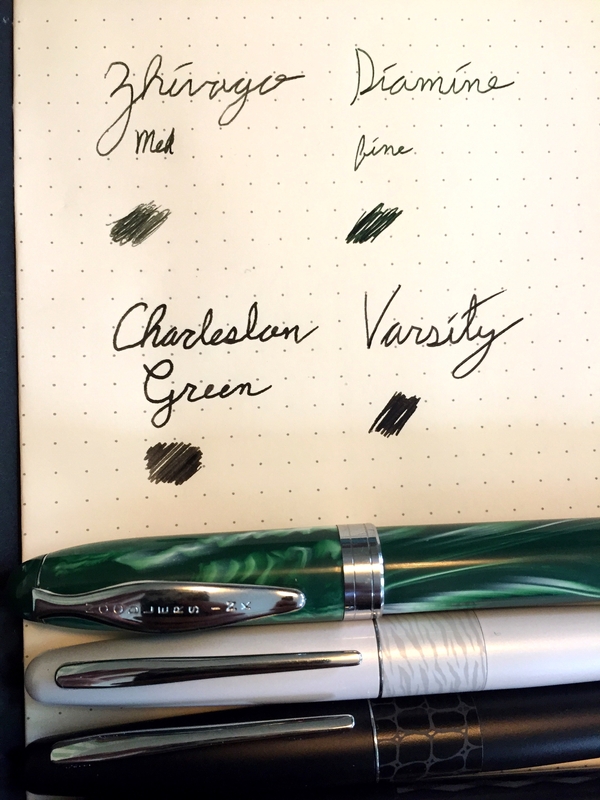 I was at a performance review the other day using a Pilot Varsity when the reviewee noticed my pen. 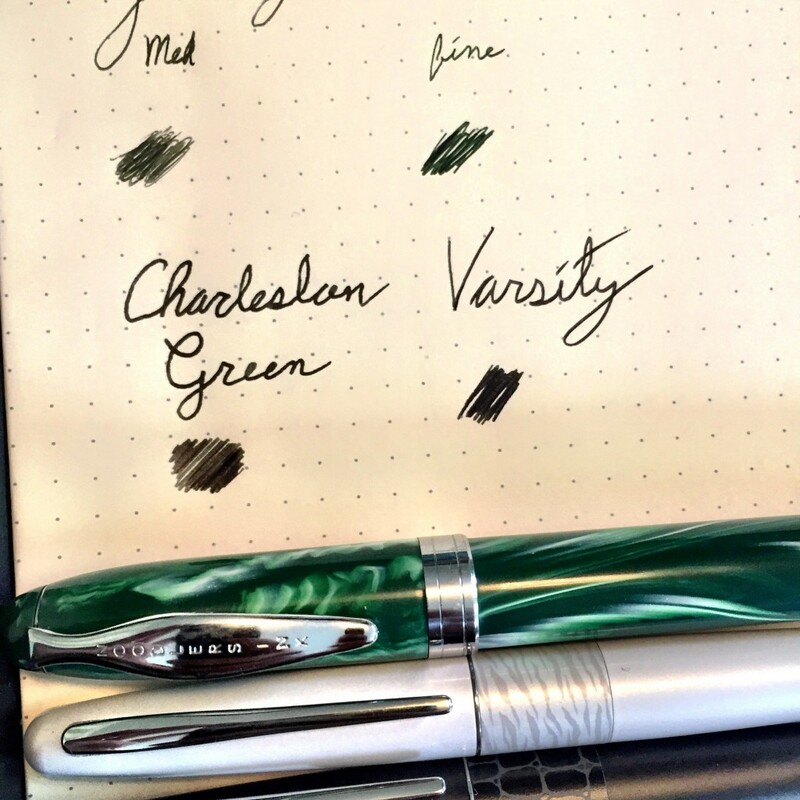 We got to talking, and he suggested the Pilot Metropolitan and that I check out Fahrney’s Pens (right next to Shelly’s Backroom in DC). 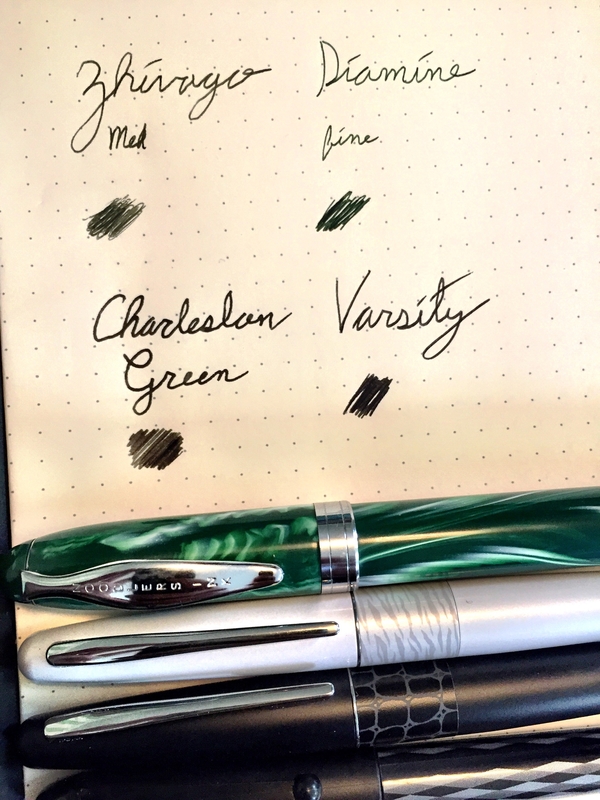 As it turns out, the Metropolitan is a great pen, and it only runs about $14. I already have a couple. 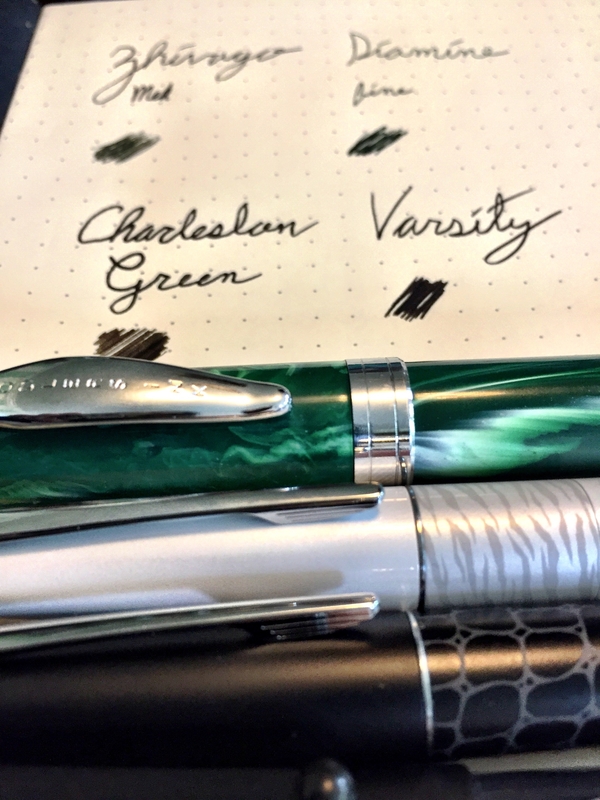 Now I keep a couple pens in my bag just for fun, for important documents, and for writing big checks. 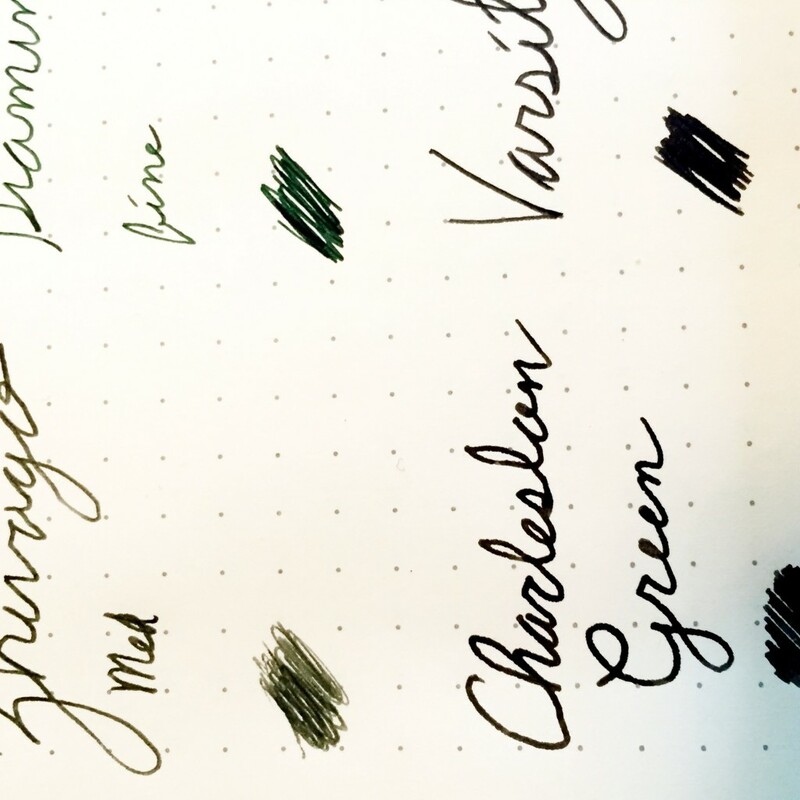 To make them my own/particular to me, I decided on dark green ink. 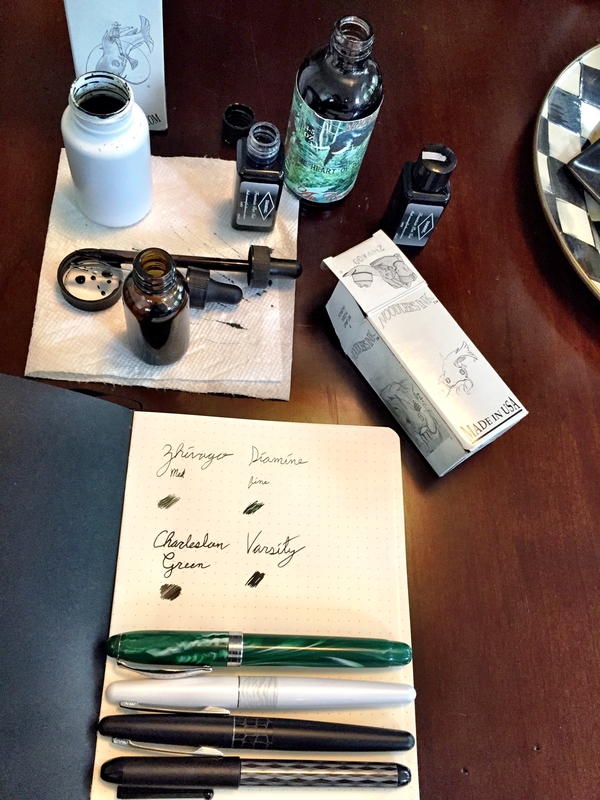 I bought Noodler’s Zhivago, and Diamine Green Black. 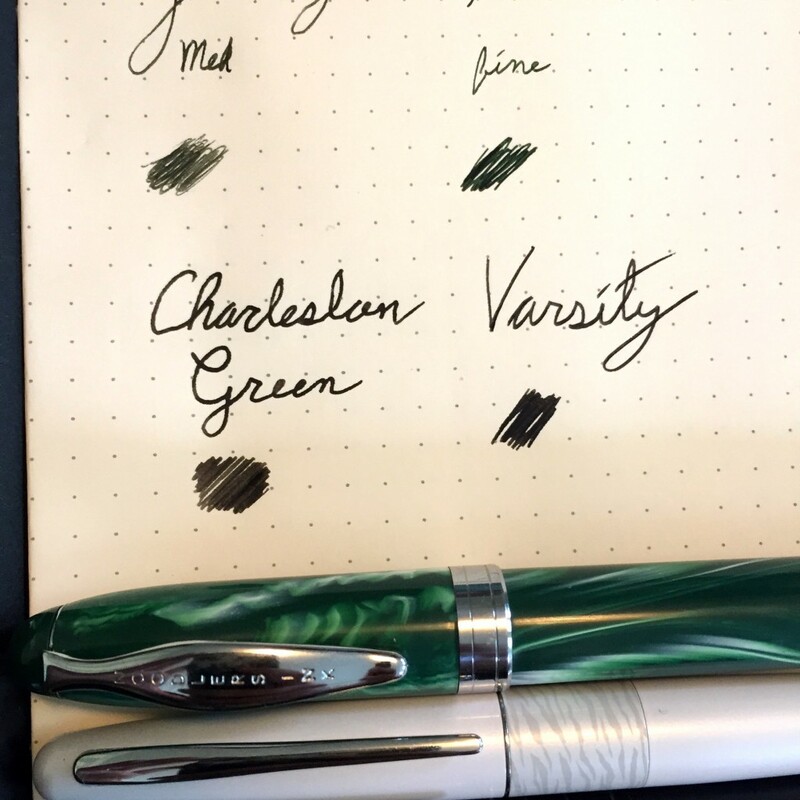 The former was a little too green for my tastes. The later was not rich enough, but plenty dark and formal. 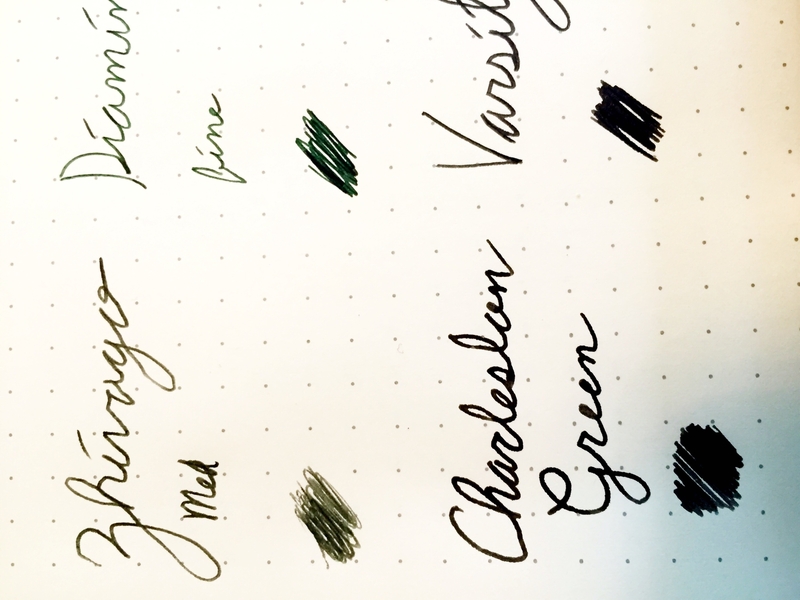 Unsatisfied, I bought some Noodler’s heart of darkness and mixed it with the Zhivago to get a beautiful dark Charleston Green. 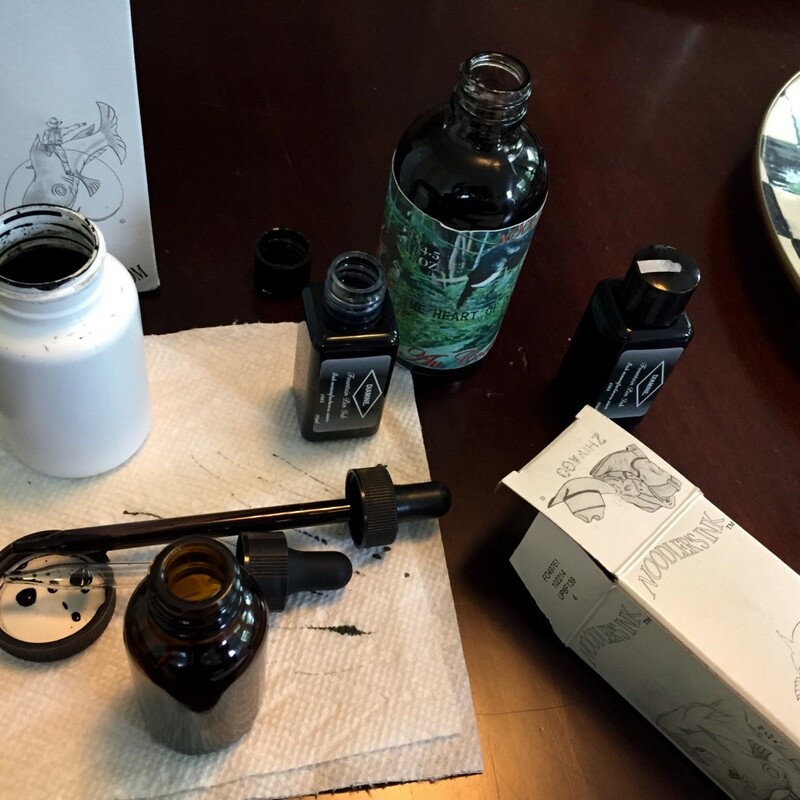 Perfect for business and personal correspondence. 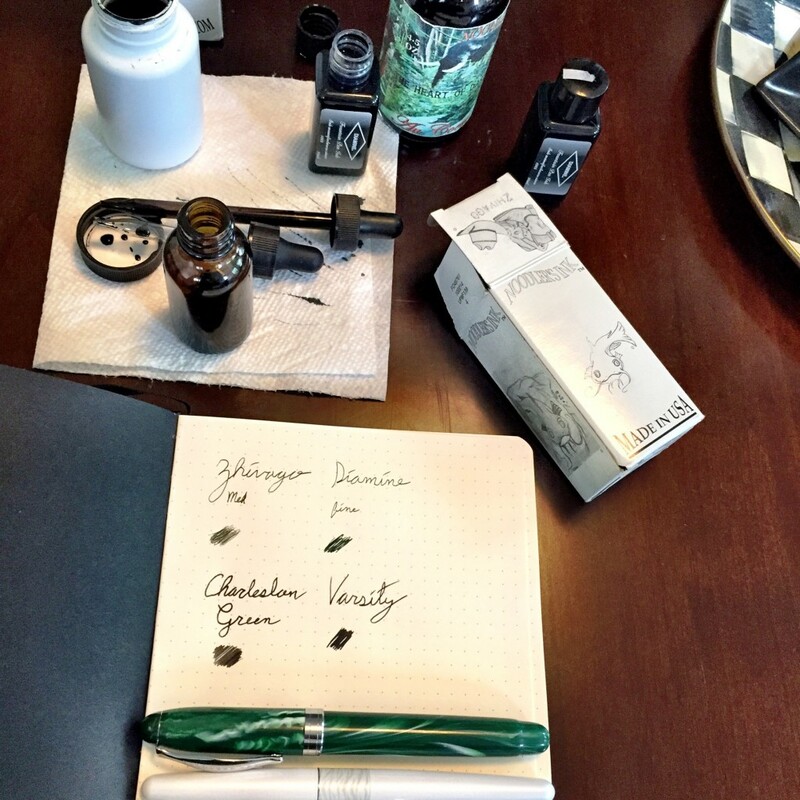 The Zhivago is from a medium nib, the Diamine from a fine, The Charleston Green is from a Noodler’s Ahab flex nib.